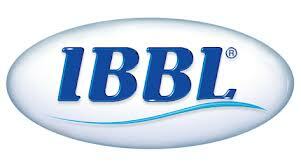 IBBL provides its customer excellent and consistent quality in every service. IBBL is a financially sound company. IBBL utilizes state-of-the art technology to ensure consistent quality and operation. IBBL provides its works force an excellent place to work. IBBL has already achieved a good will among the clients. IBBL has a research division. IBBL lacks well-trained human resource in some area. Emergence of E-banking will open more scope for IBBL. Many branches can be open in remote location. IBBL can recruit experienced, efficient and knowledgeable work force as it offers good working environment. Source: Economic Trends published by Bangladesh Bank. Bangladesh is a developing country. Without developing banking sectors this country’s business sector is not possible to progress rapidly. In such conditions IBBL is trying to develop banking sector through welfare and servicing to the people. Islami economy and banking are bound together. This economy and Banking is not possible to establish without Tauhid, Reshalat and trust of Akhirat. This economy and banking are suitable to operate as a Muslims country. But our Government is not aware to establish such system. IBBL has emerged facing the many obstacles yet. This bank is trying to operate their activities according to Islami Shariah. Islam is a religion for human welfare as well the social welfare. All the steps of Islam are only for the welfare for human being. Above discussion also proves that interest is a curse and in the banking transaction only Islamic bank can help people to relieve of this curse. Islamic banking is the superior banking system. We have to take necessary steps to remove all problems that stand as a great obstacle before Islamic banks as early as possible for the development of Islamic banks.